With the arrival of the Quadcopter kit I dug out the other parts I had ordered. 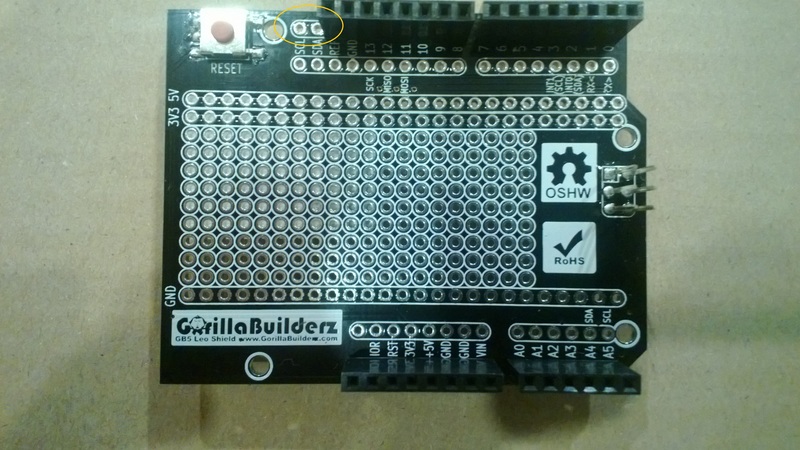 I was looking at the GorillaBuilderz shield and noticed a minor technical problem. The SDA & SCL lines for the I2C are not socketed. Just got back from holiday and my quadcopter order had arrived from hobbyking in Hong Kong. 6 yr old son said how come so many spare parts & propellers, are you planning on crashing it a lot? Made my day, thank you letters from the year 3 & 4 school children for robot show n tell I did last month.